Looking for a vacation near the slopes? Our Deer Mountain properties are within minutes of the base of Ski Mystic Deer Mountain and offer all the modern amenities of home. You can rip all day, and pop your boots off for some libations in the hot tub when you get back to your private cabin. The perfect vacation home for your Sturgis Rally adventures. Perfect with room to spread out, 4 bedrooms, garage for your motorcycles, and the perfect location for all your favorite riding spots - Rochford Road, Deadwood, Spearfish Canyon! Check out this new home way from home! 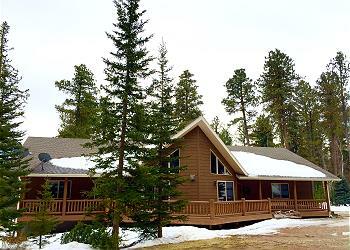 Turkey Ridge is a brand new 5 bedroom cabin surrounded by pine trees and a great location. With trails, Terry Peak, Spearfish Canyon, and other great locations nearby, you can't beat this perfect cabin! You've found your perfect place for a vacation! Dream Believer is in a great location with access to snowmobile and ATV trails at the nearby Recreational Springs. With 4 bedrooms you'll have to room to spread out, a great deck area to enjoy the scenery! 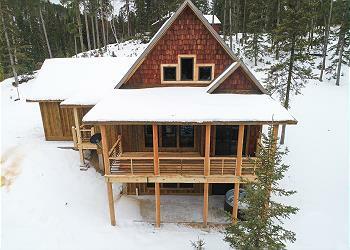 Beautiful Large (3500 sq ft.) Cabin in walking distance to Ski Mystic/Deer Mountain! - Large 3 Car Garage with Paved Driveway and plenty of room for your toys! 1 Block from Mystic Miner/Deer Mountain! Enjoy your quick walk to the chairlifts! The perfect location for your Black Hills Vacation! With plenty of room to spread out, a garage for your motorcycles, close to Recreational Springs where you can access the snowmobile and ATV trails, and a short trip to Deer Mountain and Terry Peak! Spacious property close to the lodge at Ski Mystic Deer Mountain! Easy access off the main highway 85 to ATV and snowmobile trails, and just short drive to Lead/Deadwood for gambling entertainment! Handicap Accessible! This wondrous 5 BR cabin is the perfect place to relax and enjoy some time with family/friends on your next Black Hills trip. Plenty of space to spread out, a garage for your vehicles/toys, and close to all the local fun you come to enjoy! This wonderful 5 BR home away from home will keep you coming back for more every year! With a hot tub, great back deck area, close to ATV and snowmobile trails at Rec. Springs, and only 0.2 miles off the main highway, you'll be in the perfect location! Rustic Retreat is a great 2 BR Log Cabin nestled among the Ponderosa Pines with great updated amenities and the feeling we all yearn for - Log Cabin Serenity. With a fireplace, hot tub, and full kitchen, you'll have everything you need to enjoy a vacation. Thinking about a log cabin vacation? You've found your next favorite home away from home here at Cougar Cabin. Nestle up by the fire in this open concept cabin with alluring wood accents throughout but in a great location close to everything!! With great proximity to ATV and Snowmobile trails, as well as both ski resorts in the area, this 4 bedroom home will bring the modern amenities of home to you and friends on your getaway vacation! A beautiful home near ATV and Snowmobile trails, a very short drive to Deer Mountain, and only 0.2 miles from the main highway! Close to Deadwood, Spearfish Canyon, and in the middle of Black Hills Serenity! 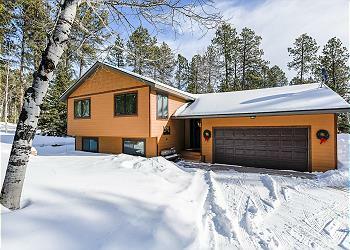 Perfect 3 bedroom home with easy access to Deadwood and ATV/Snowmobile Trails. 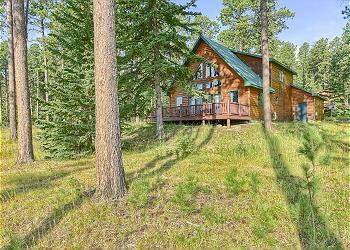 Less than a mile from Deer Mountain on beautiful secluded acreage. Hot Tub with privacy and WIFI to stay connected on those business trips. 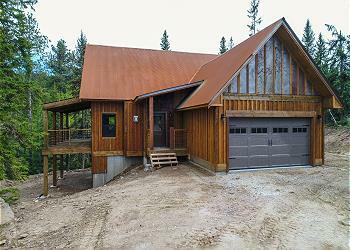 Amazing newly constructed rustic modern cabin with unique amenities close to Deer Mountain, Recreational Springs, ATV/Snowmobile trails and Terry Peak! Hot Tub with a view, relaxing deck area, 2 car garage, Air Conditioning and endless starry skies! Spectacular Views Overlooking Spearfish Canyon! 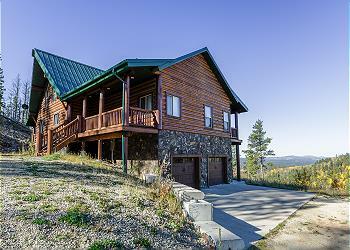 Close to the ATV and Snowmobile Trails and within minutes to Deer Mountain and Terry Peak. 15 minutes to Deadwood and one of the best hot tub views in the Black Hills! Perfect place to get away! Beautiful location on Lead Country Club for those golfing fans! Easy access to Spearfish Canyon, Deer Mountain, Recreational Springs, ATV/Snowmobile trails and the best highways around for your motorcycles! Quiet and Private Paradise with plenty of parking and storage for your ATV, Snowmobile and Motorcycles and all the amenities from home! © 2019 Black Hills Adventure Lodging All rights reserved.